Replica, from Lineto is a bold new sans serif design conceived for both text setting and use at large point sizes. LL Replica was designed on a very strict grid design which was religiously referred to in order to shape the individual characters, resulting in a typeface that has all the features of a classic sans serif font of middle-european descent, but with a genetically modified DNA. 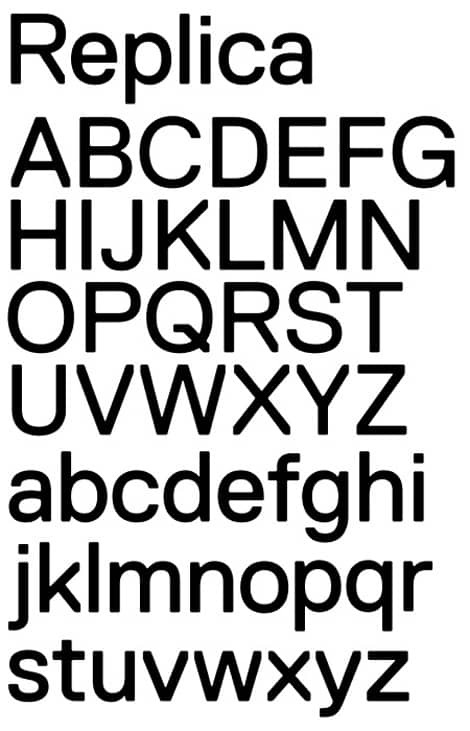 It is available in the following weights: Regular, Italic, Light, Light Italic, Bold and Bold Italic. You can get the entire family for around $450 USD from Lineto.